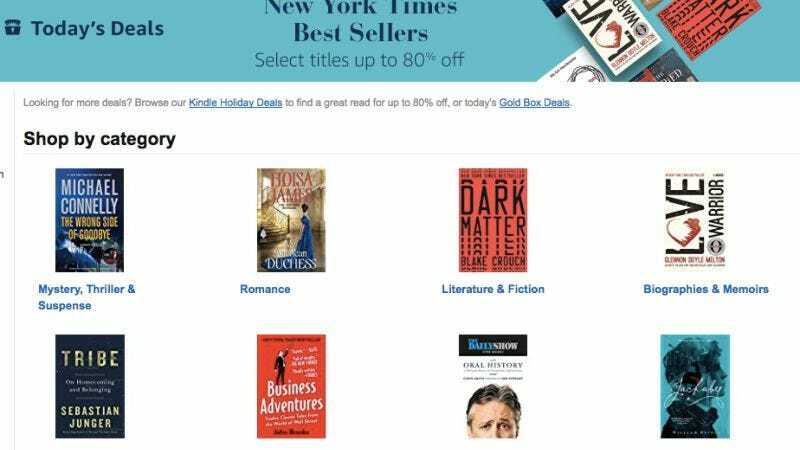 If you’ve been dying to read some NYT Best Sellers (or, like me, just got a Kindle for Christmas and want to stockpile books on the cheap), Amazon is having another huge Kindle sale, in case you missed yesterday’s while opening gifts. Grab Dark Matter, Why Not Me? and more titles you’ve wanted to read but didn’t want to buy at full price for under $5. If you ever have to deal with power shortages and brief outages, Amazon’s offering all-time low prices on a pair of APC UPS backup power supplies, plus an 8-outlet surge protector, today only. The $100 BR1300G gives you 1,300 volt-amps and 780 watts, while the $47 APC BE550G is better suited for networking gear like your router and modem. Just note that like all Gold Box deals, these prices are only available today, or until sold out. If you forgot to get your cat a holiday gift (how embarrassing! ), she might forgive you if you get her this infinity lounger scratching post, complete with a bonus bag of catnip. Editor’s note: She won’t forgive you. Did you unwrap a new PS4 yesterday? Keep your controllers topped off with this dual charging dock for just $15. Amazon’s running a Gold Box full of tablet and PC accessory deals, and while you should head over here to see all of them, the highlights are definitely a pair of mechanical keyboards. The Das Keyboard 4C is one of the best tenkeyless mechanicals money can buy, while the BlackWidow Chroma Stealth includes every feature a gamer could possibly want.